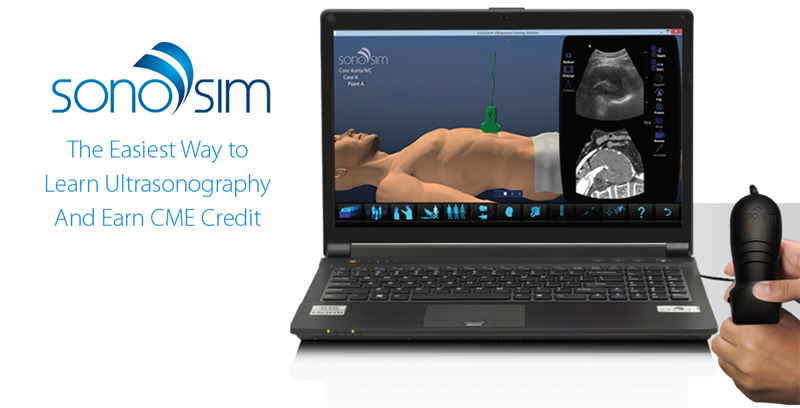 SonoSim, Inc., a leading global provider of ultrasound education and training, is now recognized by the American Registry for Diagnostic Medical Sonography® (ARDMS®) as a provider of Continuing Medical Education (CME) Credit across 48 SonoSim® Modules. These 48 SonoSim® Modules meet the requirements of the ARDMS Accepted Continuing Education Evaluation Model System (AACEEMS) Checklist and provide a total of 141 hours of accepted CMEs within AMA PRA Category 1 Credits™. SonoSim® Modules are organized into Anatomy & Physiology, Core Clinical, Advanced Clinical, and Procedure Modules, each containing didactic education, assessment, and hands-on scanning practice using the SonoSimulator®. The ability to scan real-patient cases spanning a broad range of pathologic conditions is a unique feature of the SonoSimulator®. ARDMS’ mission is to promote quality care and patient safety through the certification and continuing competency of ultrasound professionals. Earning CMEs is an integral component of maintaining ARDMS certifications and demonstrates ongoing commitment to lifelong learning, quality patient care, and safety. All ARDMS certificants must earn a minimum required ARDMS-accepted CMEs within a three-year period in order to maintain Active status.